Before you disregard this smoothie because it’s green and the ingredients, try it once. I said the same exact thing when I first tried it. I was over at my best friend Kim’s house when she still lived on the East Coast. She made this for me and I looked at Kim and said, seriously? I don’t want this. She said, I promise it’s good and it really was. Kim and I have been friends since we were 12 years old, so I should trust her right? Kim has a different method than me, but the result is the same. 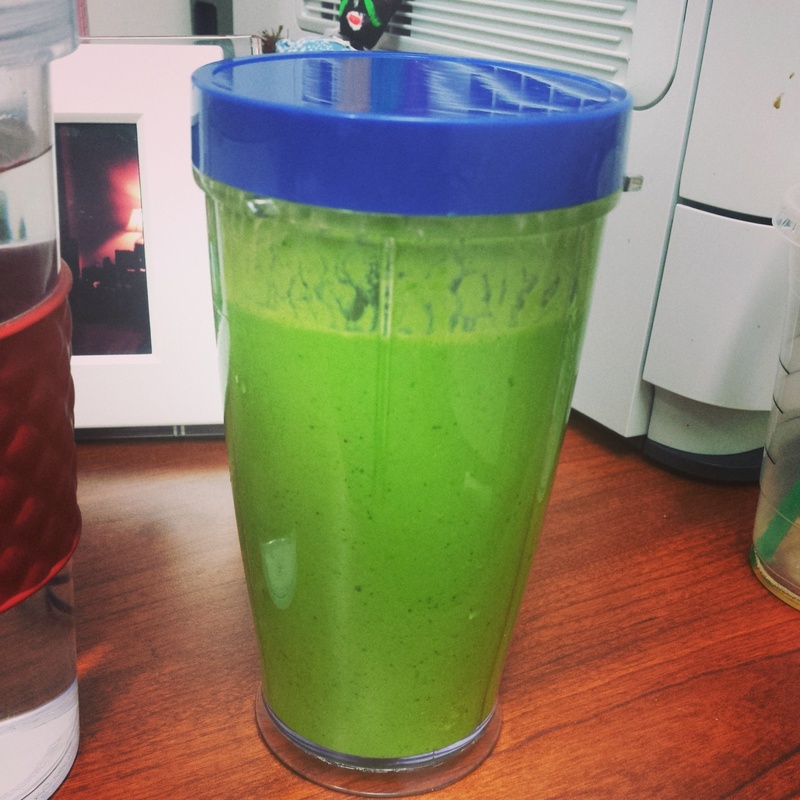 It’s a very healthy smoothie and it sounds a little weird, but my co-workers are hooked too. Yes, I’m that person that brings it in and says try this!